Sandi has already reviewed these Indonesian noodles, but I thought I would add my own two cents. First off, they come in a miniscule 85g package. Interestingly, my packaging is different than the one Sandi had. I suspect that she had the English version, since mine had no English whatsoever on it. In fact, I had to try to deduce the cooking instructions based on the pictures. Good thing it's pretty simple to make instant noodles. Reading over Sandi's old post, I realize that my flavor sachets were actually different from hers. I had 5 total, which were seasoning oil, chili oil, strangely thick soy sauce, seasoning powder, and fried red onion. The fried red onion was a great touch. As expected, this conglomeration of diverse flavors produces a complex and interesting flavor to the noodles. Very tasty, but it is disappointing that the size is so small and it is almost a hassle to add all the ingredients. Plus, I think I am traumatized by that soy sauce. Honestly, it has the appearance and consistency of Hershey's chocolate syrup! But I feel the flavor more than makes up for these deficiencies. I probably won't get these noodles again just because they are too small...it's a shame since the flavor is quite good. Are you eating out of styrofoam because you've packed all of your bowls already? Yup, my bowl is packed and in California already! The soy sauce is thick because it's indonesian soy sauce, it's sweet, not salty like the watery kinds you'd usually find. You're an idiot...why would you shun a tasty food for preparation messiness? Most of the best tasting foods in the world make the largest messes...fool. 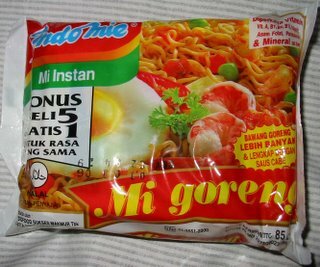 Mi Goreng ROCKS! mi goreng are easily the best instant noodles ever made, you complain about the smaller packet size, but you forget that mi goreng costs half as much as most other brands. just make 2 packets at once?? The way you're describing it, it sounds like you're preparing them wrong. The sauces are mixed before adding them to the noodles. You put the powder in a bowl, add all the oil and kecap manis (what you described as thick soy), then add chili sauce to taste (I use about 1/5 of what's supplied). Using a fork or chopstick, mix them all until they form a paste, then toss the drained noodles in it until they're covered. Sprinkle the onions over last. 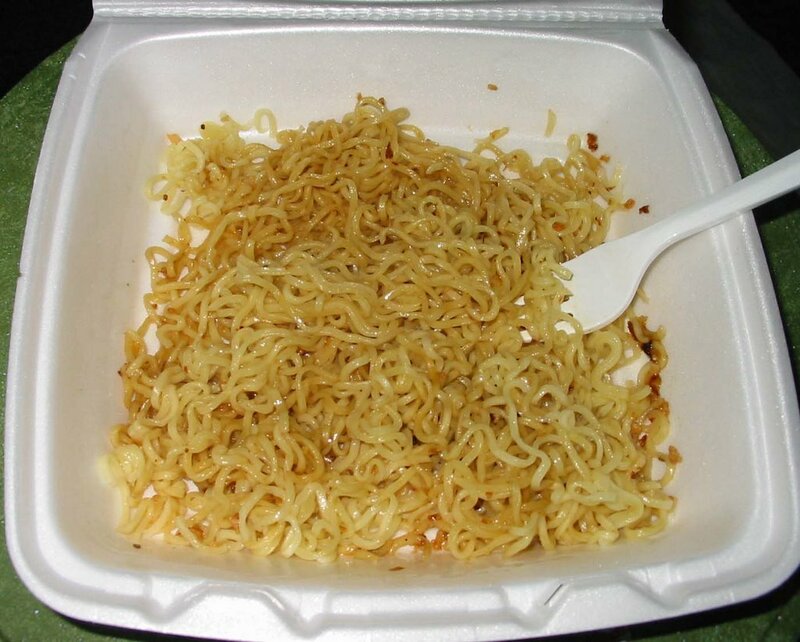 These are the best noodles in the world. Oh, and they're also available in 100 g 'Jumbo' packets, which are a much better serving size. Yeah I agree - you are an idiot. Mi Goreng comes in a jumbo sized version as well as the regular sized version you're talking about. Don't diss Mi Goreng because the portion is too small, the fact is you CAN choose to buy the larger serve if you want to. Yes there are five different flavourings and they are separated because you cant have one sachet containing all five as the onion would be soggy, people cant limit the amount of chili/oil they want to put in their noodles and so forth. 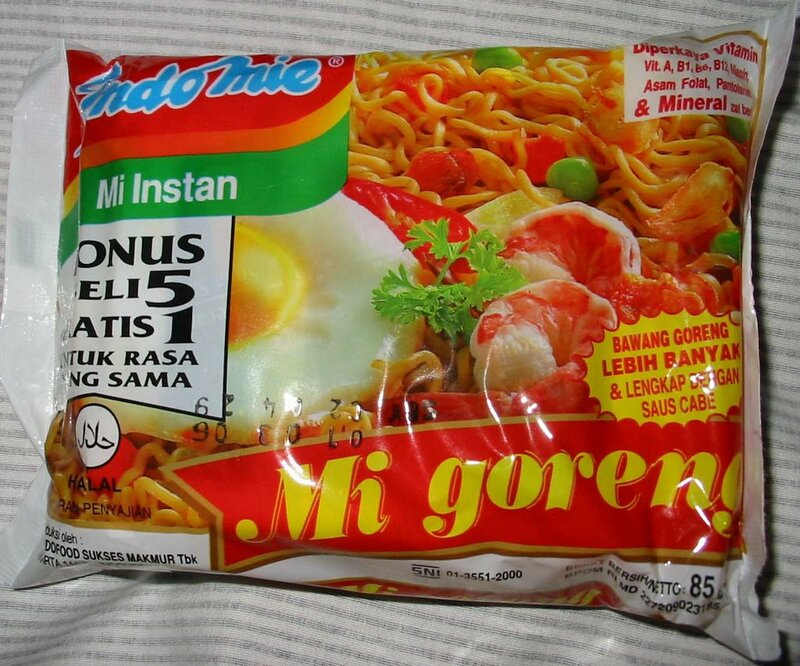 Mi goreng is designed in such a way that the person making it can tweak it to their preference - hot, mild, lower-oil content, onion free, etc. I know the same problem too. Like Mee Sedap, Indomie is synonymous to small quantity noodle. You may end up opening 2 - 3 packets to make a meal. Does not make any sense as doing so create more hassles and wastes. I recommend Santri Mie to mee goreng lovers. By mixing the onion oil and soysauce to the boiled noodles, it unleashes the same taste of mee goreng that is cooked on top of frying wok/ pan. Must try it! Hahaha, that's Indonesian sweet soy sauce. Black and thick, but very nice laaaa. We Indonesian don't think the size is small, I mean like we can add sunny side up, or sausage. I fist discovered these noodles while backpacking in oz and I would have to agree that at the time they did seem like the best FOOD in the world not only the best noodles. The best way to prepare them is as others have said is to empty the sachets onto a plate/bowl first and mix into a paste. The easiest way to do this is to toss the seasoning oil and soy sachets into the noodles as their boiling/simmering for a few seconds to make the oils dissolve then just lop the top off all of them in one go and squirt onto the plate. Also don't totally drain the noodles leave a bit of moisture to help distribute the flavour.